So what is it that makes growing up in Sainik School, so special that it even warrants an online meeting place such as this? Is it the formative years of your childhood, away from home, amongst peers who will soon turn to brothers for life, whether you like it or not? Is it the warmth, just like that sepia-tinted photograph, that grows heavy every time you take it in your hands? Is it the bond between souls, put together in an nourishing environment, called from the corners of the Nation, so much so that half the ones chose to continue and complete their professional courses in Kerala, much to the surprise of their parents in Bihar? What exactly is it that keeps every batch together, fast and thick like a band of brothers, even after they keep climbing their chosen career ladders, expand their brood, wallets and their waistlines? Darned if anyone knew. 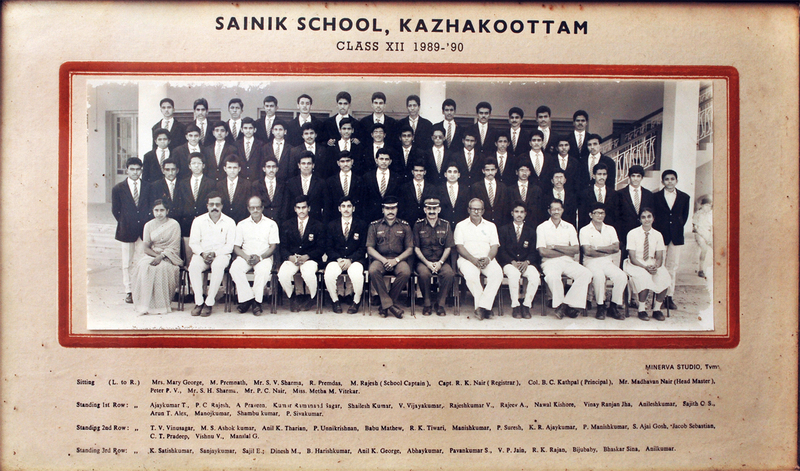 But Kazhaks90 knows this – regardless of the distances and the endless scuffles (that continue even now), it is impossible to take Sainik School out of a Kazhakian. In our case, out of the Mighty Kazhaks, a.k.a the Class of 1990.